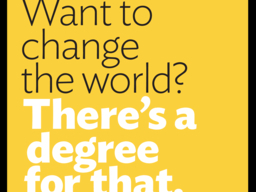 The Baltimore Idealist Grad Fair will be held on Wednesday, October 29, 2014 from 5:00 – 8:00 pm at Johns Hopkins University, Homewood Campus, Glass Pavilion (3101 Wyman Park Drive, Baltimore, MD). This event is free and open to the public. The Career Services Center will provide free transportation to the event from UMBC. Please RSVP through UMBCworks (under Events) for transportation. Click here to find out more information.